A long time ago, Tagalog writing was engraved into pieces of wood using an alphabet called Baybayin. After the Spanish had colonized the Philippines, they changed the alphabet into Latin, the alphabet also used in English and other European languages. Tagalog and almost all of the languages in the Philippines are written using the Latin alphabet. The Tagalog alphabet includes all of the same letters we use in English, along with 'Ñ'(enye), which the Filipinos borrowed from the Spanish, and 'Ng', a Filipino invention. Engraved — to carve into a material. Colonize — to migrate and settle a place and occupy as a colony. Around 22 million people around the world speak it as a first language, and more than 65 million more have Tagalog as a second language. This makes it the most spoken of the Philippine languages, and the 40th most spoken language in the world. Tagalog originates in the Philippines, where it is spoken by 49 million people as their first language, and is mostly spoken in the island of Luzon. Although there are many local languages in the Philippines, Tagalog is the language of the media and the government. Tagalog is also spoken outside the Philippines by Filipino immigrants who migrated to North America, Australia, Asia, and the Middle East. Originate — Where something came from. Immigrant — A person who leaves his/her country and moves to another country. Tagalog is an Austronesian Language. Indonesians and Malays came to the Philippines and they spoke Malay and Javanese and they wrote Baybayin — and Baybayin's origin is Sanskrit! Soon after the Age of Contact came and the Philippines started trading with other people like Persians, Arabs, Malays, Indians, Japanese, and Chinese. The people who traded with the Filipinos also introduced their language and culture, and soon after the Filipinos started using words from their languages and dressed, ate, and lived like them. The Spanish came and they introduced Spanish and Latin, the Spanish taught the Filipinos Spanish, and soon after Spanish words were in the Language. Nahuatl, an Aztec Mexican Language, also gave Tagalog some words. The British came and introduced English, and soon after Americans too came and encouraged the use of English, so English words then were also included in Tagalog. Tagalog is therefore one of the most diverse languages of the world, with Sanskrit, Malay, Javanese, Mandarin Chinese, Nahuatl, Persian, Arabic, Japanese, Spanish, and English loanwords! On 1930 Manuel L. Quezon proclaimed Tagalog as the National Language of the Philippines. Jose Rizal was a Famous Filipino Nationalist. 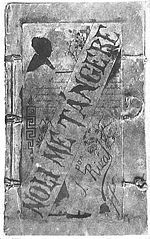 He has written book in Tagalog and Spanish like El Fulibusterismo and Noli Me Tangere. Jose Rizal is known as Pride of the Malay Race, First Filipino, etc., for being a patriot for his Country. He was a poet, linguist, genius, and nationalist. He was born in Laguna, Philippines and he wanted to be an Ophthalmologist (a doctor for eyes) to cure his ailing mother. He studied in Europe and became a doctor and went back to the Philippines. He wanted freedom for the Philippines; he was imprisoned by the Spanish and then sent for execution. Patriot — Person who truly loves his country. Linguist — A person who knows many languages. Nationalist — Unselfish affection for his country. Francisco Balagtas is a Famous Filipino poet and author. He is the Filipino Shakespeare because he has many contributions to Filipino Literature. His famous work was Florante At Laura (Florante and Laura), a story about Love and War. Contributions — Things which a person has given. Kumustá ka? Hi, how are you? Mabuti (pô) namán, salamat (pô)./Mabuti namán (pô). I'm fine, thank you. Magandáng umaga (pô). Good morning. Magandáng hapon (pô). Good afternoon. Magandáng gabí (pô). Good evening. Saán ka galing? Where have you been? Nakapagsasalitá ka ba ng Inglés?/Nakapagsasalita pô ba kayó ng Inglés? Do you speak English? Nasaán pô ang banyo? Where is the bathroom? Gustó ko ng . . . I like . . .
Ayaw ko ng . . . I don't like . . .
Akó si . . . My name is . . .
Anó ang pangalan mo?/Anó pô ang pangalan ninyó? What's your name? It is delicious to eat.